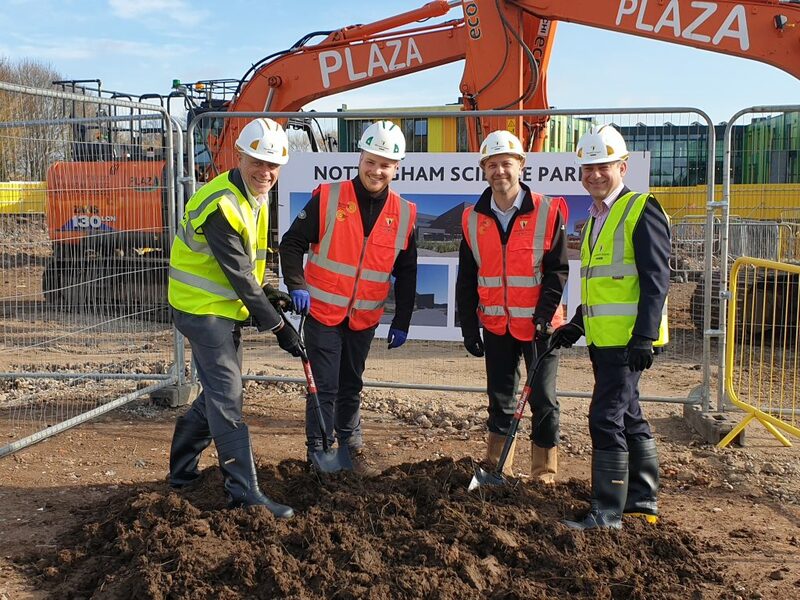 A ground breaking ceremony at Nottingham Science Park took place on Wednesday 20 March to mark the beginning of construction of Nottingham Science Park Building No.2. The striking new building will provide 22,700 sq. ft. of Grade A office space for businesses looking for research and development facilities near like-minded organisations, creating a more effective hub of commercial activity within the Science Park. It will also include a café for tenants and the public, as well as a conference space, allowing companies to host conferences for up to 60 people, events, symposiums and more, providing a central hub for networking across the entire Nottingham Science Park site. Working with A Perfect Circle, who acted as project manager and with the design team pre-contract and quantity surveyor post contract, the building has been designed to complement the existing buildings on site, with a cantilevered upper floor providing an impressive focal point for the new building, and is the first phase of a series of new developments on the site in the coming years. Created in the 1980s to give new firms a place to start up, Nottingham Science Park is surrounded by greenery and privacy, allowing a community of scientists, researchers and manufacturers to develop in a bespoke environment. Its proximity to transport links and partners at Boots and the University of Nottingham makes it an ideal location for many companies and is part of Nottingham’s thriving scientific community, particularly with the recent opening of the new cycle and pedestrian bridge, linking Nottingham Science Park to the Boots Enterprise Zone. Nottingham is one of six science cities in the UK, alongside Birmingham, Bristol, Manchester, Newcastle and York, charged with creating economic growth by creating better and deeper links between business, science, technology and innovation sectors. Support to develop the new building has been funded by the D2N2 Local Enterprise Partnership (LEP). D2N2 is one of 38 LEPs across England. D2N2’s private sector-led Board represents business, local authorities, skills and training providers, and voluntary and community organisations. 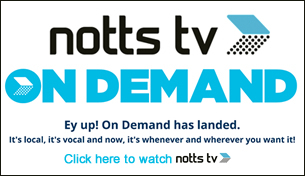 It promotes economic growth and jobs creation in Derby, Derbyshire, Nottingham and Nottinghamshire; using UK Government and European funding. Councillor Jon Collins, Leader of the City Council, said: “The expansion of the Science Park is important to Nottingham: as a Science City, we recognise the way scientific research and manufacture can create jobs, stimulate growth and create great local companies the city can be proud of. Councillor Jon Collins (L), Leader of the City Council, David Williams, Chair of the Enterprise Zone, D2N2 (R) and representatives from contractor Willmott Dixon (middle).